From the creator of the popular Disney Channel original movie, Jump In! 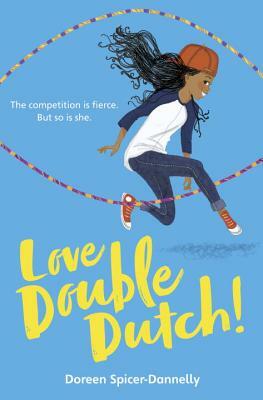 comes a double Dutch novel perfect for fans of stories about sports, summer, and friendship. Brooklyn middle-schooler MaKayla can only think about one thing--taking her double Dutch team all the way to the National Jump-off at Madison Square Garden. That is, until her mother breaks the news. Kayla has to spend the summer at her aunt's house in North Carolina while her parents work out their problems . . . or decide to call it quits. Kayla does not feel at home in the South, and she certainly doesn't get along with her snooty cousin Sally. It looks like her Jump-off dreams are over. Hold the phone! Turns out, double Dutch is huge in the South. She and Sally just need to find two more kids for a team. And a routine. And the confidence to stand up to the double Dutch divas who used to be Sally's BFFs. Time to show those Southern belles some Brooklyn attitude! DOREEN SPICER-DANNELLY is a native New Yorker and writer/producer in television and film, best known for Disney Channel's The Proud Family and Jump In! She also created the international teen sitcom, The Wannabes Starring Savvy. She lives in Los Angeles with husband Charlie S. Dannelly II and her toy poodle/writing partner, Tiger. She's a proud alumna of the HBCU, Morgan State University. Having a passion for teen and tween content, Spicer-Dannelly continues to develop inclusive content and girl empowerment projects under the auspices of Spicerack Productions Inc. Visit her at www.spicerackproductionsinc.com and follow along on Instagram @DoreenSpicer and Twitter @DoreenSpicer and Facebook: Spicerack Productions Inc.